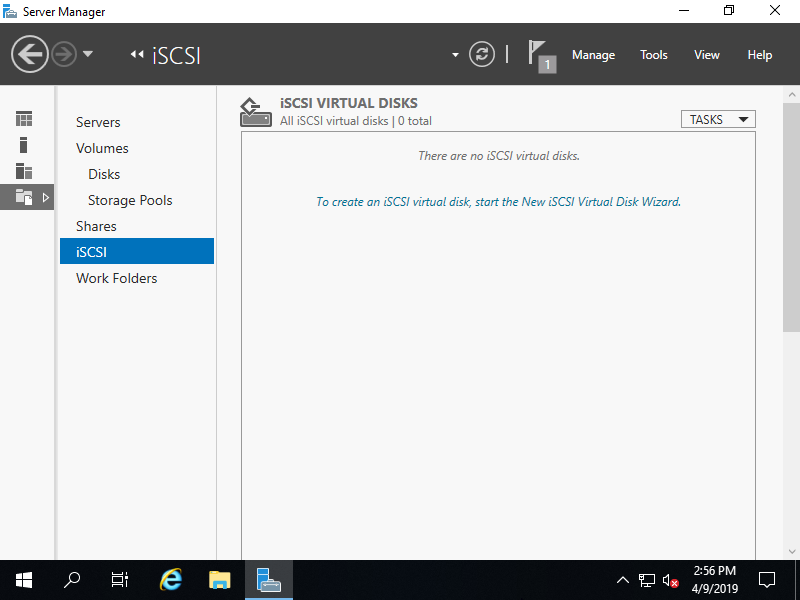  Select [iSCSI] on the left pane and click [To create an iSCSI.....] link on the right pane. 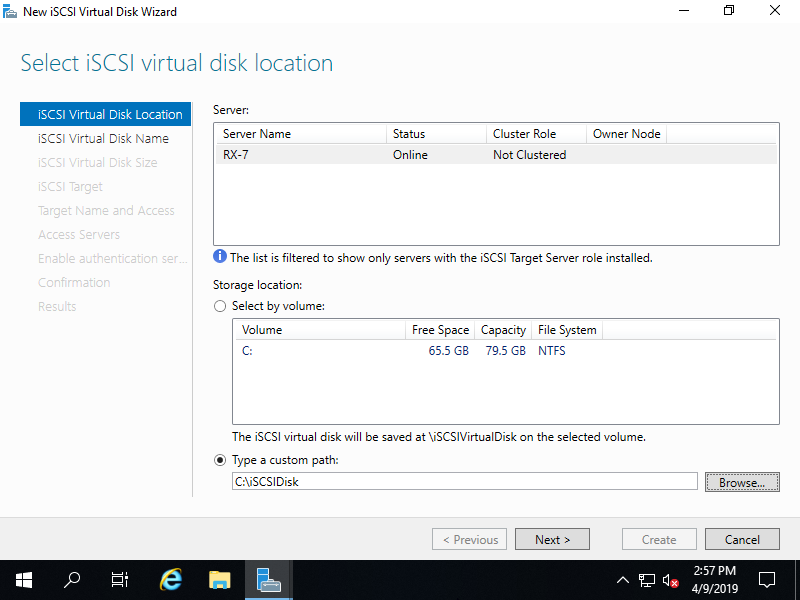 Specify the server and volume for setting iSCSI disk. 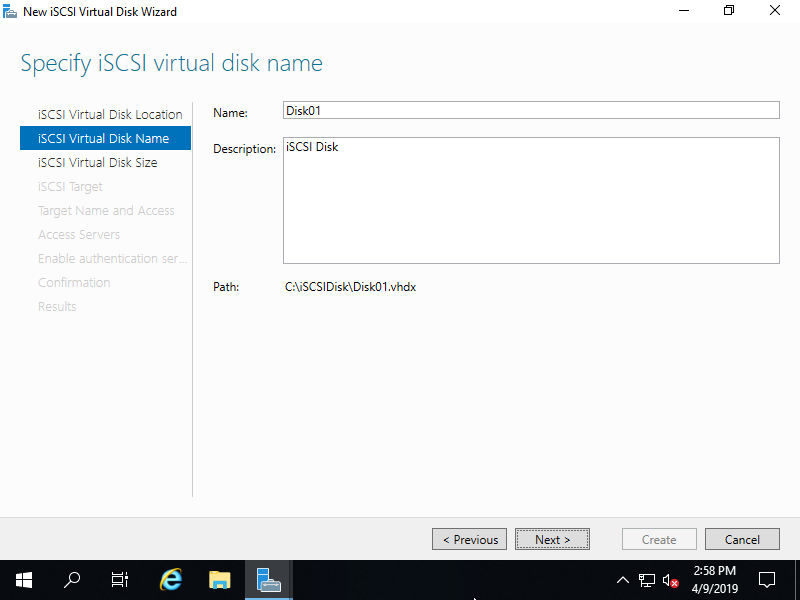 This example shows to configure a disk on a custom path (C:iSCSIDisk). 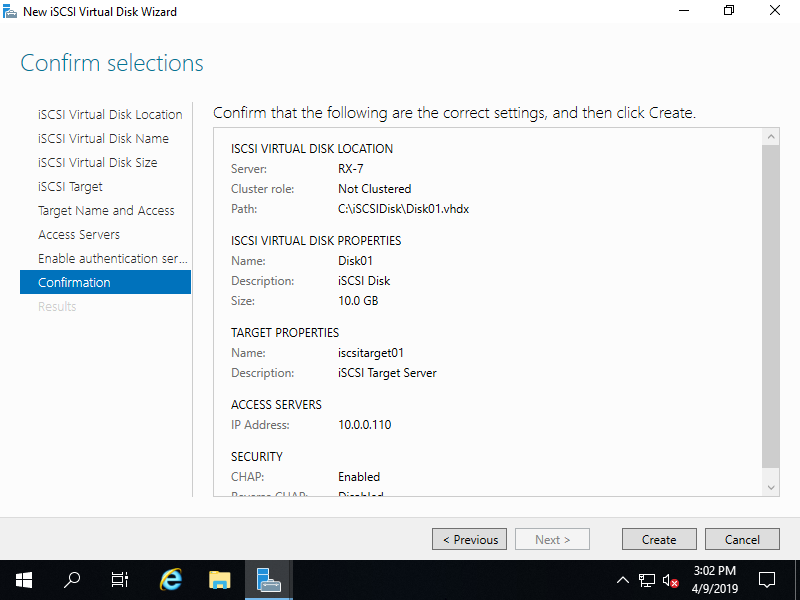 Specify any name for virtual disk. 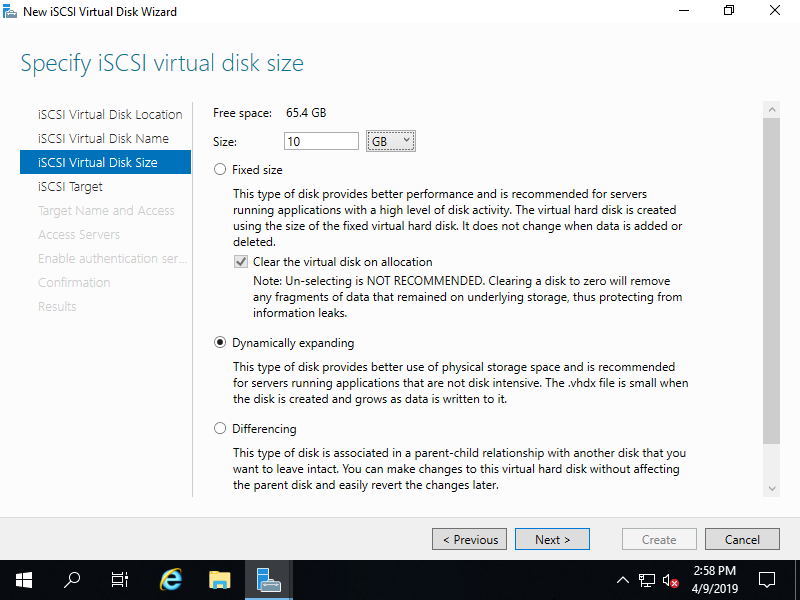 Specify the disk size for virtual disk. 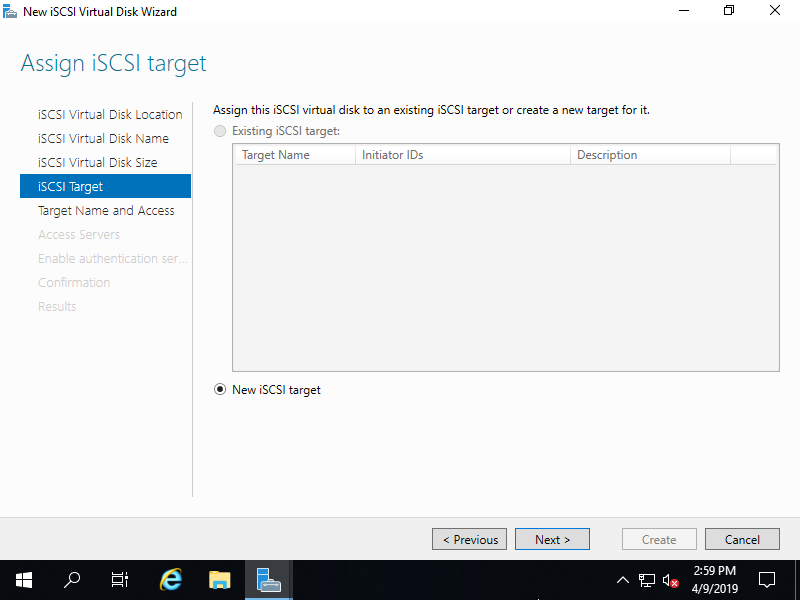 Specify the iSCSI Target to assign this virtual disk. If the Target is new, select like follows. 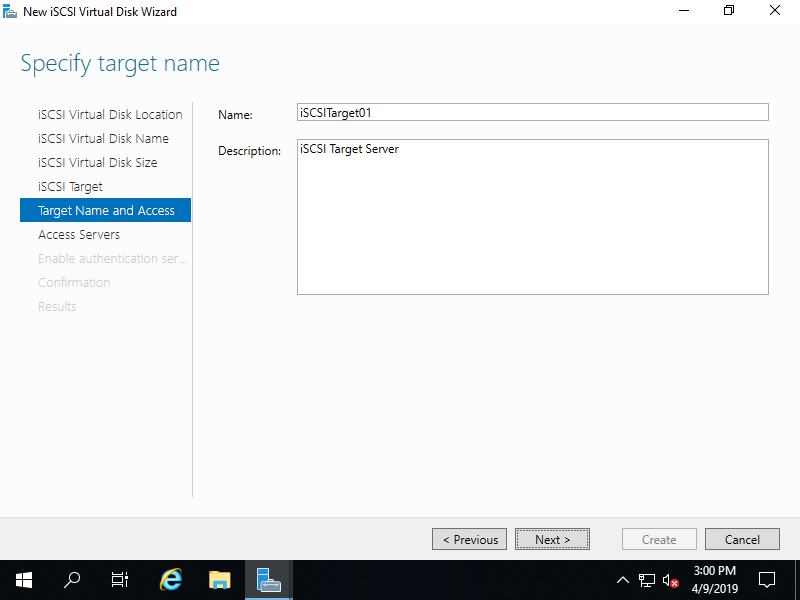 Specify any name for iSCSI Target. 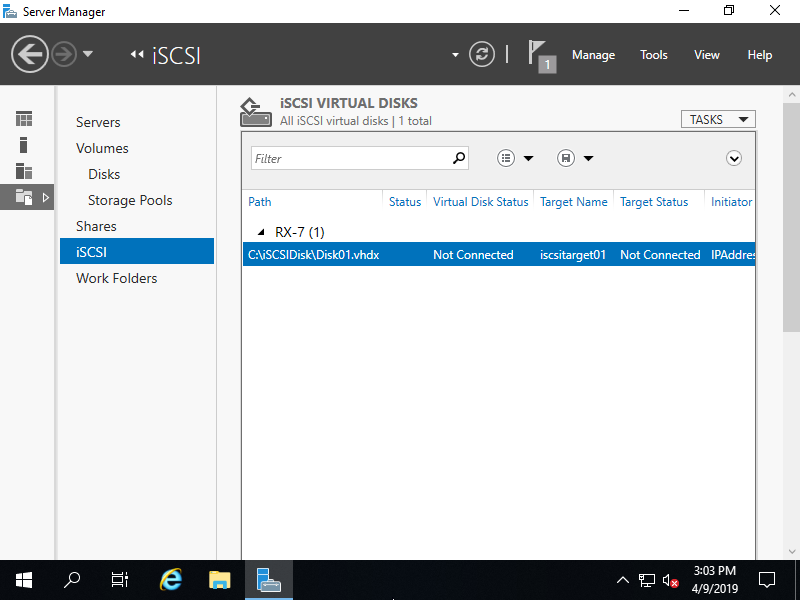 Specify access servers to this iSCSI Target. Click [Add...] button. Select a method to identify the initiator. This example shows to set initiators by IP address like follows. 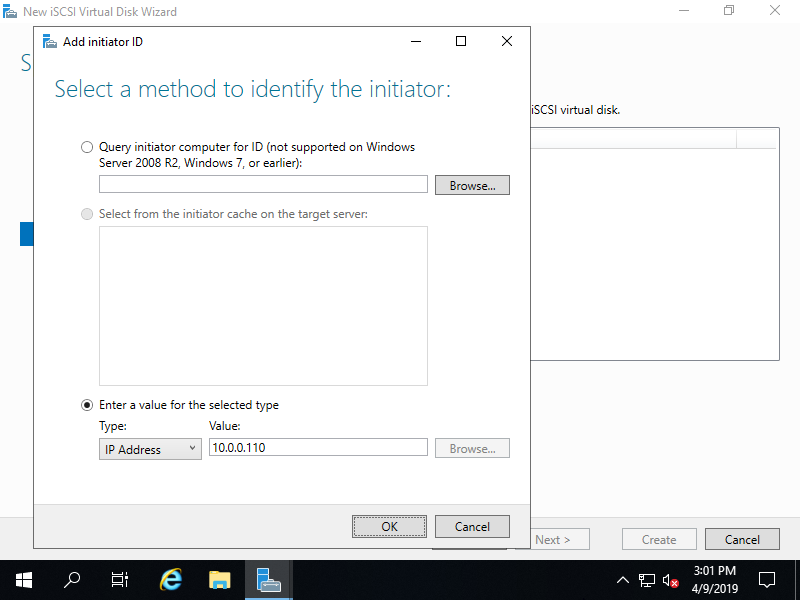 Configure authentication method between Target and Initiator. 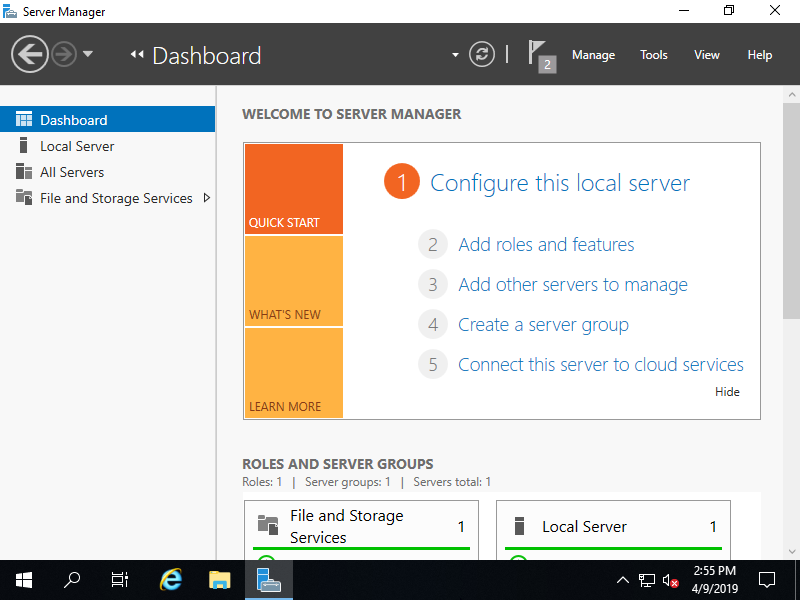 This example shows to configure CHAP like follows. 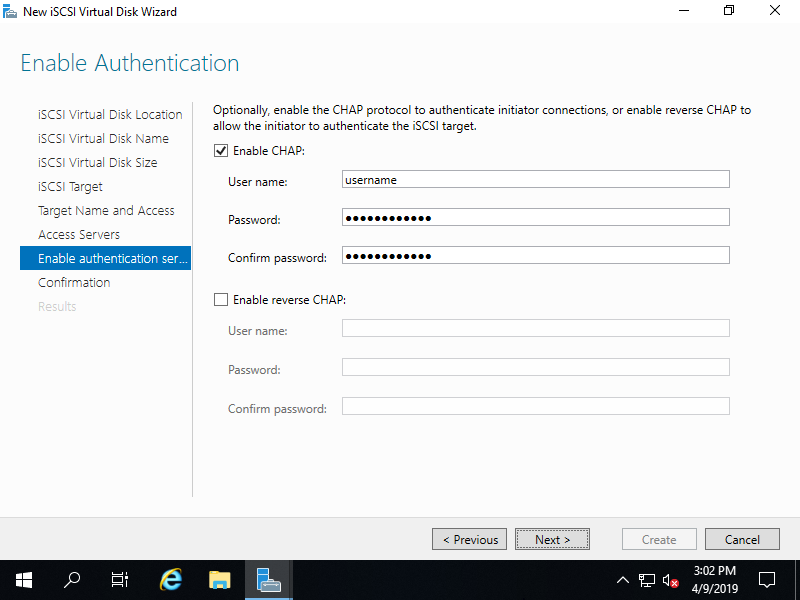 If select CHAP, set username and password too that are used for connecting to Target from Initiator. If it's OK all, click [Create] button. 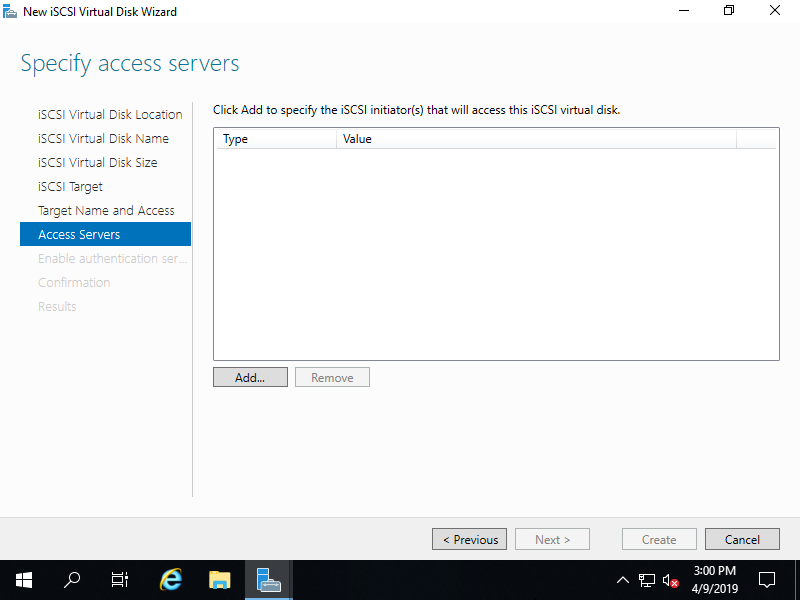 A new virtual disk has been listed like follows.